The late St Lucian folk singer Marie Selipha “Sesenne” Descartes — who died in August 2010 — entered the studio to make her first and only commercial recording late in life. She was seventy-seven. Ronald “Boo” Hinkson, St Lucia’s leading guitarist, internationally known jazz musician, and producer of the 1991 recording, remembers Sesenne turning up at his studio well dressed with all her jewellery. Of course, the jewellery had to be removed, since the microphones picked up the staccato of beads and gold. Sesenne’s musicians were old men who had backed her for years as a chantwelle in the traditional La Rose and La Marguerite flower festival celebrations. Hinkson recalls that they always had to “strike up” or warm up before playing any tune — even if he was about to start recording. He solved the challenge by erasing the “strike ups” later. He remembers Sesenne’s excitement about the recording experience. When she entered the studio with her musicians, she immediately took charge. She knew what she wanted, and got it. The recordings were made on an eight-track machine, using reel-to-reel tapes. A long-play record and a cassette were produced. Only now, after her death, are efforts being made to produce a CD. Long before this, Sesenne’s reputation was assured. 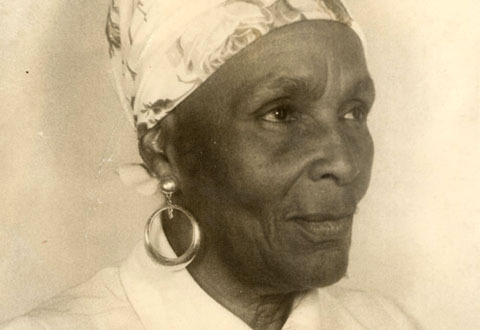 Born in Malgretoute, Micoud, on 28 March, 1914, she emerged out of the patwa folk heartland of St Lucia. Her surroundings were the rural folk of St Lucia, patwa-speaking, fervently Roman Catholic, fervently Kwéyòl, who celebrated religious feasts and flower festival séances with a sensuous abandon. When she was about eight years old, Sesenne became the chantwelle or lead singer of a La Rose group. Her talent was immediately obvious to all. While St Lucia was officially and administratively British from 1802 until independence in 1979, the culture of the people, their religion, their language, remained entrenched in their French Creole heritage. The colonial elite (both British expatriates and their middle-class imitators) sitting in Castries forbade the speaking of patwa, and relegated the songs, dances, and storytelling of the folk to the “out districts.” As far as they were concerned, these belonged to the “country-bookie” and jan bitasyon, of whom they were dismissive. In their rural isolation, the madras-wearing people of the countryside kept their culture alive. It was a proud, confident culture that had embraced and synthesised — creolised — both its African and European heritages. Lonely figures like Harold Simmons — mentor to Derek Walcott and Dunstan St Omer — were among the few from middle-class Castries families who saw value in the folk culture. All this changed in the last years of the 1960s and early 70s. In 1969, the government sent a contingent to Grenada for Expo 69, a regional trade and cultural fair. The programme consisted of a production of Walcott’s Sea at Dauphin and performances by various folk groups. Songs which were to become classics of the St Lucian folk repertoire were heard for the first time. And the star of the show in Grenada was Sesenne Descartes. Memory, jogged now by an old, not very good recording of her performance that night, returns to the enjoyment of the huge crowd responding to her “Wai!” refrain, and drowning out her own singing. She got several encores. The formation of the Folk Research Centre (FRC) in 1973 brought a scientific approach to the appreciation of St Lucian folk culture. Many other folk singers, dancers, and drummers were heard on radio programmes produced by the FRC. The rival La Rose and La Marguerite flower societies — their music and dance performed within a theatrical atmosphere, with kings and queens, magistrates and policemen, nurses and soldiers — were recognised as a unique cultural phenomenon. Meanwhile, the popularity of the woman regarded as the country’s leading chantwelle continued to grow. Her songs were sung everywhere and by other performers. In 1984 Sesenne beat all competitors — including the highly respected Florita Marquis of Canaries — to be crowned “Queen of Culture in St Lucia” during the first Jounen Kweyol celebration, held in Mon Repos, her hometown. By 1991, when “Boo” Hinkson arranged for Sesenne to record her classic songs, all agreed this was long overdue. Sesenne’s music comes out of traditional adult ring games with their call and response; the conte and débòt that relayed the gossip of the day, often in a satirical manner; social commentary (paralleled by kaiso commentary); and marches (called mapa) that are popular during the parades of the Rose and Marguerite festivals. Several of the songs feature the “La Commette” melody, which some musicologists believe benefited from the music of the European minuet, which eighteenth- and nineteenth-century slaves heard drifting down the night air from the great houses. Given its folk themes and accented African rhythm, the result is a cultural accommodation which marks the “La Commette” as a unique St Lucian phenomenon. Some examples of this graceful melody on Sesenne’s album are “Jwé ba mwen La Borde”, “Palé Edward ba mwen”, and “La Woz mété nou”. In the “La Commette”, the lyrics are narrative commentary, often humorous, even though the music carries strains of melancholy, enhanced when a violin is included. As to the instrumental accompaniment, Cadet was much impressed by its sophistication: “Its freedom from the restrictions of a written score permitted chord and rhythm discoveries that accompanied voice while not intruding on it.” He noted the cross-rhythms on the drums, the perfect timing of the cuatros and guitars. At certain points it was obvious Hinkson had carefully added flutes. A saxophone, most appropriately, entered a Christmas Séwénal song, “Nwel la wivé”. I am moved by the rootedness, earthiness, St Lucianness of Sesenne’s lyrics, the music and that coming-at-you-from-far voice. Like a band coming up the road in the early J’Ouvert morning. Casual like a jazz singer, all hoarse intonation and inflection, lines cut, just so; the language singing, a conversation between familiars. There is something about St Lucian folk music that moves its writers in ways we can’t explain easily. St Lucia is at heart a Creole/Kwéyòl society, neither English nor French. And the music of Sesenne, her folk singers and musicians, call to that. Call from that. Are that! And yes, the heartstrings tighten, deep under the sound: the melancholy “La Commette”, the dancers’ flaring skirts, the insistent shac shac. The swing! The hips of the women, just so, just right! Creole notations of composition and choreography. I think it is some of those things that our great poet also yearns after and hears and sees — and heard in Sesenne. And took with him to Stockholm in 1992. And we celebrate even as we lay to rest Sesenne Descartes of Mon Repos, our Queen of Culture. And we celebrate too as we learn that musician and musicologist Joyce Auguste is now drawing on her archives to produce new, never-heard-before recordings of Sesenne Descartes. 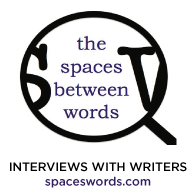 John Robert Lee is a St Lucian writer. He has published several collections of poems, most recently Canticles (2007) and Elemental (2008), and he writes regularly on literature, theatre, and Caribbean social life for various newspapers and periodicals. A professional librarian, he is currently information manager at the St Lucia Folk Research Centre.